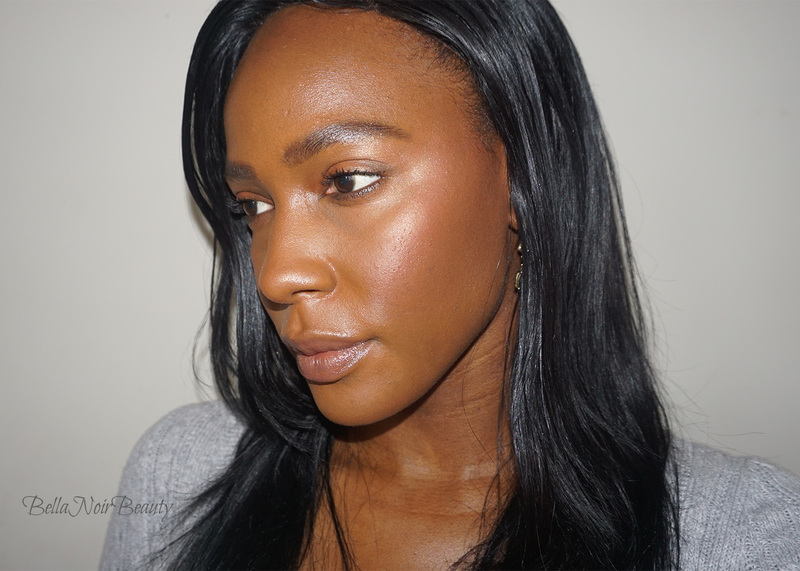 Boy have I had a rocky relationship with the Becca Gradient Sunlit Bronzer! The first one, I received as a gift and fell head over heels in love with it. Finally! A bronzer that shows up on me as a bronzer, with the option of shimmer! Well, I was carrying it around in my roomy makeup bag and a couple days later I noticed it had completely shattered. I was heartbroken! Eventually, I decided to just buy another one. You know how other people's french fries always seem to taste better than yours? 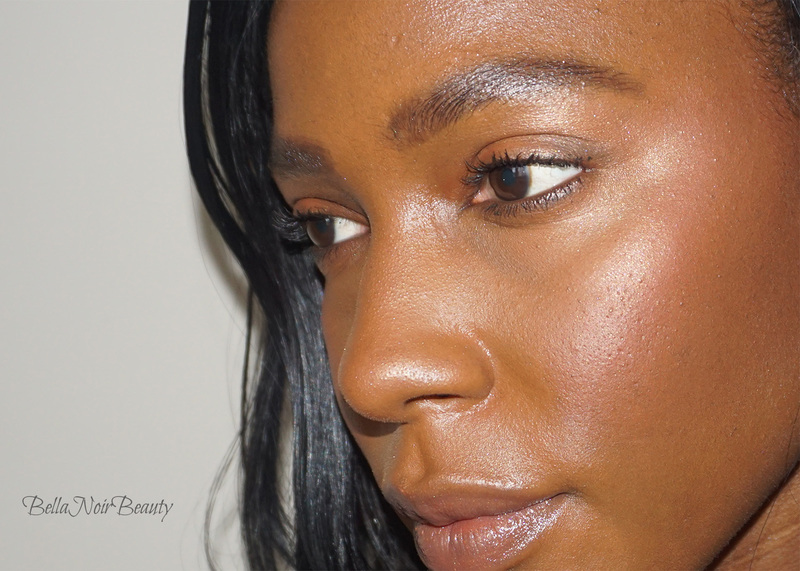 This bronzer was like that for me; when it was a gift, I loved it! Now, I'm so careful and suspicious of it! Anyway, have a look at this beauty! From the brand: An illuminating bronzer that combines Sunlit Bronzer with our highlighter for a naturally-radiant glow. I use either a contour brush or a traditional blush brush to hone in on the two matte center shades. I generally contour with those shades, bringing some color to it with the reddish shade. Now, I do have to layer it substantially, but for this glow, it's totally worth it! I use the highlighter on the tops of my cheekbones. 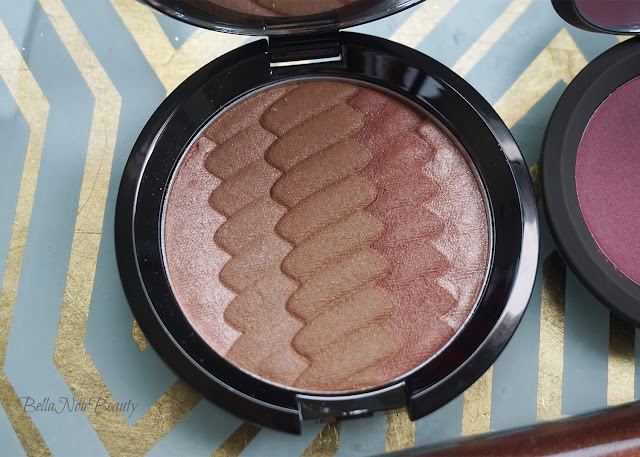 The shades include the Sunlit Bronzers in Maui Nights, Ipanema Sun, and Bronzed Bondi as well as the Shimmering Skin Perfector Pressed Highlighter in Rose Gold. I love the beautiful wave design, that it contains products that I liked already, and how large it is. 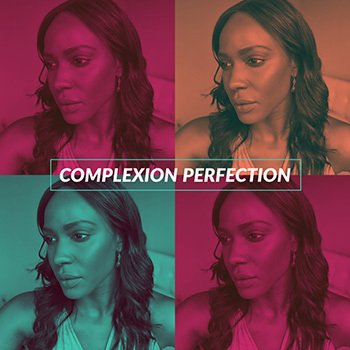 The product itself is finely milled, adequately pigmented and can be worn by darker skin tones. Becca continues to impress! I could not believe how easily this broke! I no longer carry it in my makeup bag because of the first time this happened. 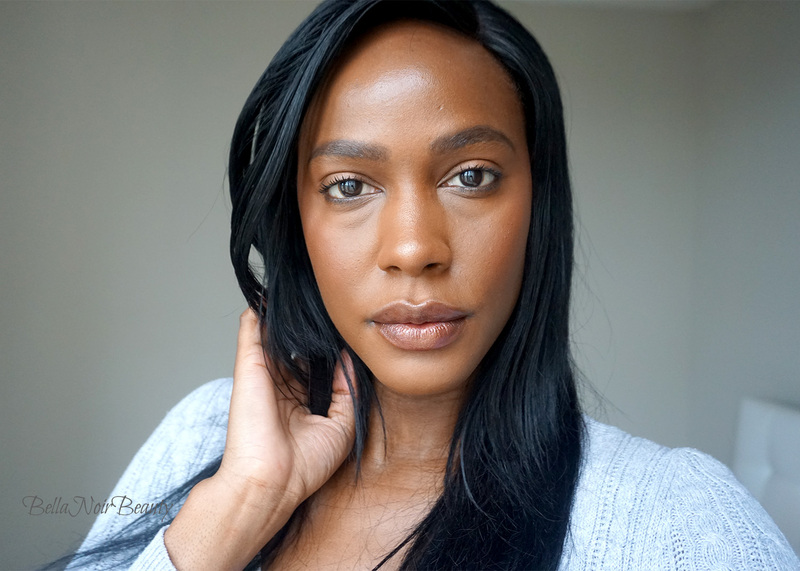 While I don't feel the need to reapply this bronzer during the day, if I did I couldn't because I am terrified of carrying it around with me. This certainly decreased the joy factor for me. It's nearly $40, this should not be happening!